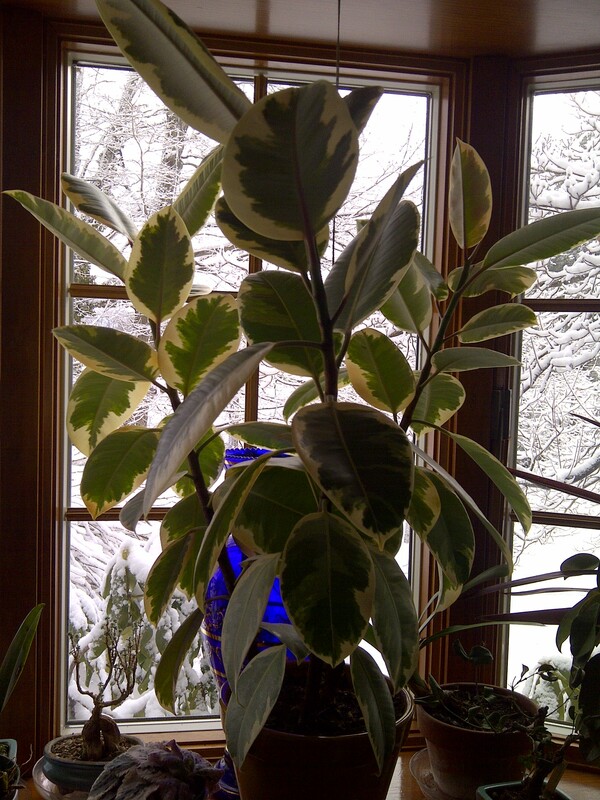 On Monday, I talked about plants for lower light situations that will help clean the air. I thought it was important to talk about those first because so many folks think they don’t have good indoor light–or perhaps they want something for an office. Today I’m going to talk about plants that need a bit more light–but still not direct sun. These are plants that, in my house, are in an east or a west window. They might get a bit of early morning or late afternoon sun in the winter but once the trees leaf out in the summer, they don’t even get that–and they still do fine. This is a throwback to the 70s, isn’t it? It seemed that everyone had one back then–and why not? They were easy to grow and they propagated like mad by runners which you could just cut off and give to friends. 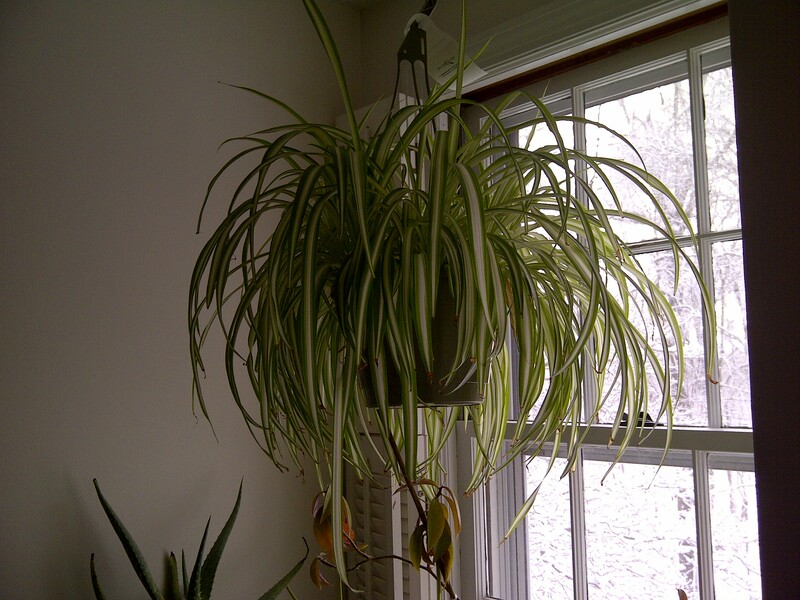 How many of you remember those spider plant “babies” sitting neglected in glasses of water for months? As it turns out, this humble plant is great for getting formaldehyde, xylene and toluene and ammonia out of the air, at least according to the NASA research. Makes you think of this in a different way now, doesn’t it? This plant hangs in my guest room. Ah, the rubber plant–here’s another oldie but goodie. This variegated version is just a slight variation on a theme; there are also lovely reddish versions as well. We also have a gnarled old plant that my husband has had for over 50 years! I have to wonder if its still cleaning the air at that point! This plant is great for removing formaldehyde from the air. As I discussed Monday, formaldehyde comes into our home in the things we use everyday so a plant like this can be very valuable. Still not convinced? Prefer something that flowers? I’ve got something for that. We’ll talk about those on Monday.